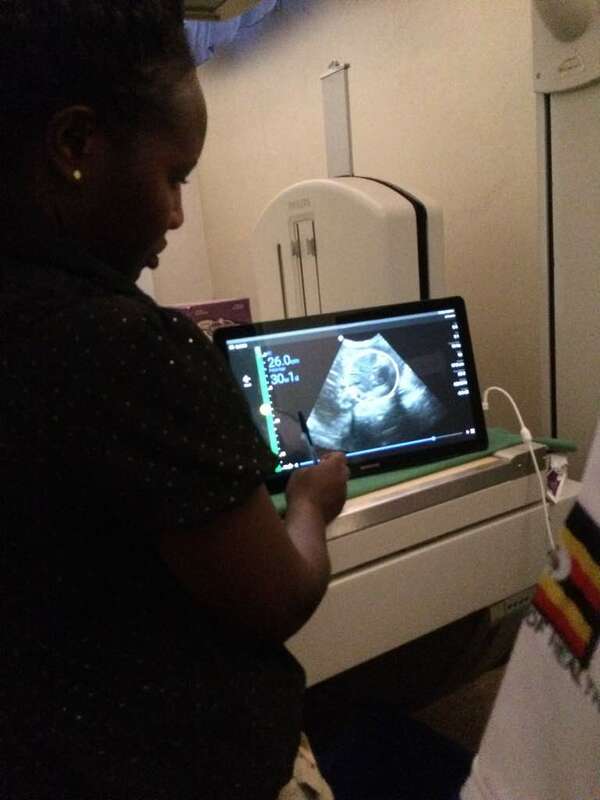 Ultrasound training was provided for four midwives at Mubende Regional Referral Hospital. The purpose of the training was to provide more hands-on and didactic knowledge in obstetrical ultrasound. Imaging the World provided three portable ultrasound systems for the hands-on sessions. The midwives were eager to learn more about how to use ultrasound in their everyday practice in treating obstetrical patients. We started with basic knowledge of ultrasound which included physics and system optimization. Each day, along with didactic portion, we also spent time with live patients. This allowed the midwives to practice scanning techniques, evaluate the well-being of the baby, providing size, position, viability and reassurance to the mother that their baby was doing well. Each day was a challenge to learn something new and become more confident in scanning techniques. By the end of our training a basic knowledge of obstetrical ultrasound was achieved and the midwives were excited to continue practicing their new skills.